Sani Express Sdn Bhd is a wholly owned subsidiary of Sani United Berhad established on January 9, 2007. 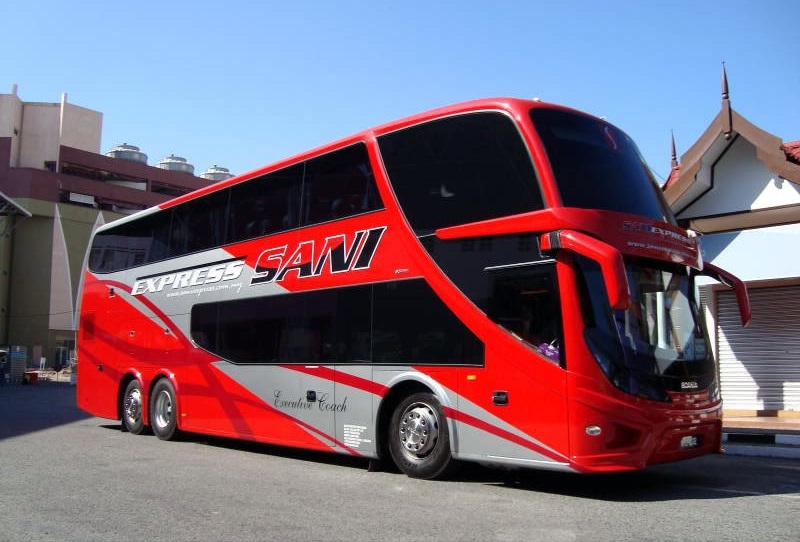 Sani Express has begun services in the same year with 15 single deck buses enroute to Kuala Terengganu and later to Kota Bharu, Kelantan and Kuantan. SESB started the route with Kuala Terengganu with 7 single deck coaches, Kota Bharu with 6 single deck coaches and Kuantan with 2 single deck coaches as there are large number of manpower from East Cost working in the Klang Valley for past 20 years. The tremendous growth of job opportunities in the Klang Valley whether employed or self-employed has result an influx of individuals from the East Coast to meet the demand. The influx has increased the volume of passengers using the mode of express buses to return to their respective states and vice-versa. As a new bus operator, SESB faced strong competition on its most popular routes especially Kuala Terengganu and Kota Bharu. In the year 2008, Sani Express has shifted its services to a double decker buses with the aim to provide better and quality services to its passengers. Initially, the company accquired 15 double decker buses to replace the single deck buses of which 6 buses to cater for Kota Bharu, Kelantan, 7 buses to Kuala Terengganu, Terengganu and remaining 2 to Kuantan, Pahang. Due to an overhelming, response from the public for double decker buses to East Coast routes, Sani Express has accquired another 10 more buses of which 6 buses to Northern Region to cover namely Butterworth, Sungai Petani, Alor Setar, Jitra, Cangloon, Kangar and Kuala Perlis, 2 buses to Kota Bharu and another 2 buses to Kuala Terengganu.